Hey, long time no post. I'm working on a videogame called Bug Fables, which is an RPG and stuff. But we decided to remake the game taking into account community feedback! 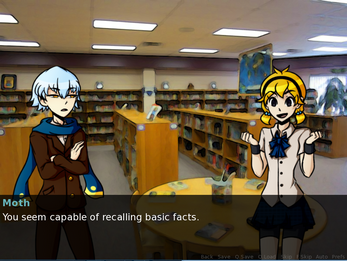 So we ended up with a visual novel. It's complete, with two routes to follow. I figured this was as good a place to share it! 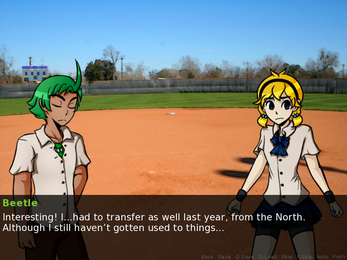 The main character is Bee, a perky transfer student. Will she gain the heart of Beetle, a dorky jock aiming for the top in his track team...or Moth, a witty comic enthusiast who always knows how to rile her up...!? Anyways, I hope you do enjoy it if you give it a chance.